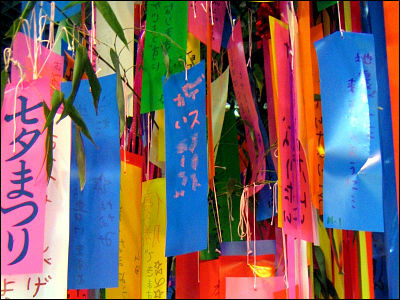 Tanabata festival is celebrated in Japan every year on July 7 (or August 7 according to lunisolar calendar). 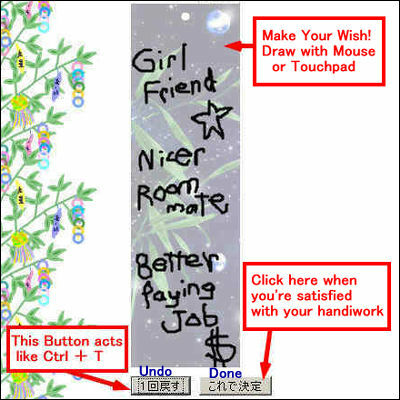 We wish upon the lovers Orihime and Hikoboshi stars (Vega and Altair), write our wishes on paper strips called tanzaku and hang them on decorated bamboo trees. 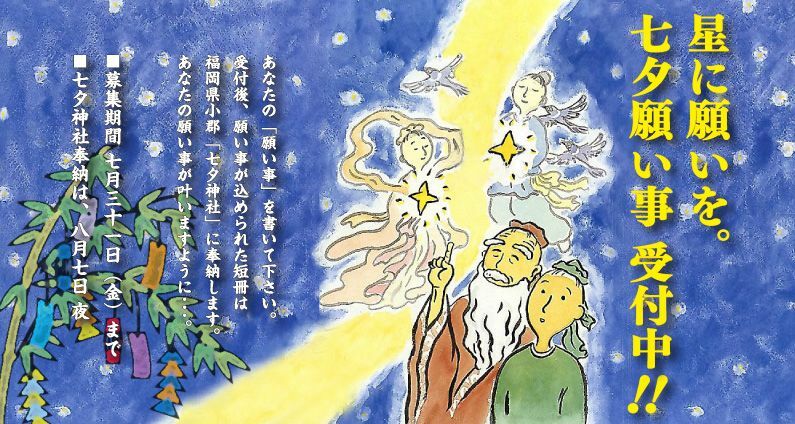 There's a shrine called Tanabata Jinja located in Ogori, Fukuoka and they're launching a unique online service called "Ogori Tankentai" in which you can make your wish online and the good people at Ogori will make it a tanzaku, dedicate it to the actual Tanabata Shrine. If you submit your e-mail address they'll even send you a picture of the tanzaku afterward. "Wish upon the stars. 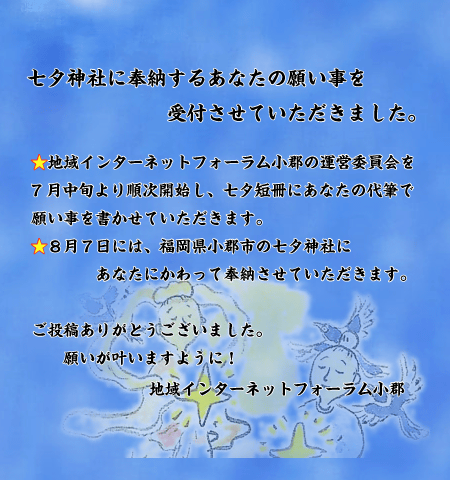 Accepting Tanabata wishes!!" 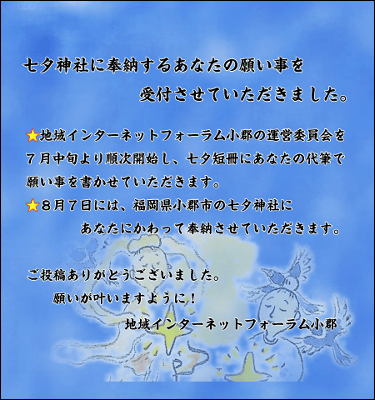 They're accepting wishes until July 31 and the tanzaku will be dedicated at Tanabata Shrine on August 7 at night. 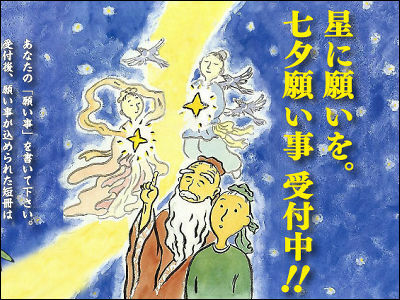 "Tanabata" literally means "The seventh night". 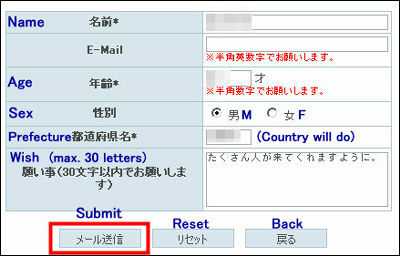 You can submit your wish via form mail. Name, age and prefecture are required. If you're not living in Japan country or region will do, we guess. Enter your e-mail address if you want to be sent some pics after the festival. People at the Local Internet Forum Ogori Managing Committee will write your wish on a tanzaku for you. You can also write your wish in your own hand. Sign and submit. If your wish is not too indecent, the tanzaku will be printed out by the kind people of Ogori, Fukuoka. Your tanzaku will be dedicated at this Tanabata Shrine.